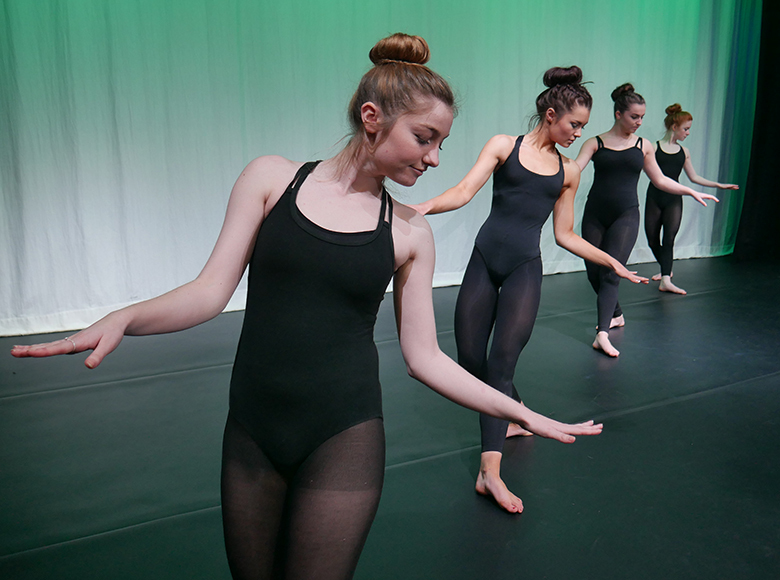 Dance and Drama students at The Sixth Form College, Solihull are inviting staff, students, parents and other guests to attend a Performing Arts Christmas Showcase next month. Taking place on Monday 12 December at 7.00pm in the College’s theatre, the Showcase will feature dance pieces from class work this term, as well as short pieces that the students have choreographed in their own time in a variety of different dance styles and some choreography from the College’s Collision Dance Company. There will also be some short Drama sketches in the first half of the show. The second half of the Showcase will feature a physical theatre interpretation of Charles Dickens’ classic “A Christmas Carol” by the Performing Arts enrichment students. Tickets cost £2 for concessions (students, seniors and children) and £4 for adults. They are available by calling 0121 704 2581 or emailing marketing@solihullsfc.ac.uk. Some tickets may still be available on the door on the night, but people are advised to call first and reserve their tickets to avoid disappointment. Also taking place before Christmas in the Christmas Music Concert on Wednesday 14 December at 7.00pm. This concert is free of charge, but guests are urged to book seats in advance, again on 0121 704 2581 or marketing@solihullsfc.ac.uk.